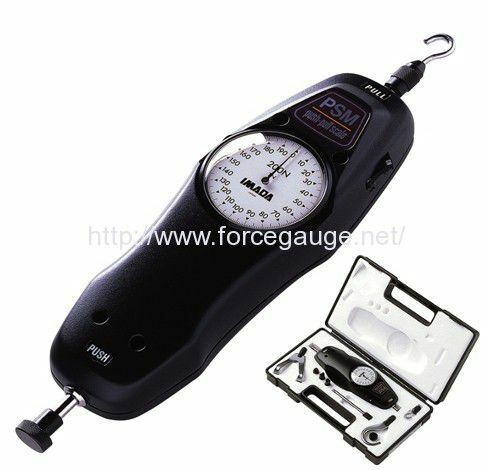 Precision Model Mechanical Gauge- PSM series are much highly durable and lower in cost than digital force gauges. Accurate and bearing a high resolution these (push-pull scale) gauges are suitably designed for both compression and tension testing. It has capacity of 20N (2gf) - 500N (50kgf) with accuracy of +/- 0.1%. It has graduation of 200 lines (150 lines for 30N, 300N, 3K, 30K)for both compression and tension testing available in N and kgf models. it is highly durable with a die cast aluminum housing with hand held use due to easy-gripping design. 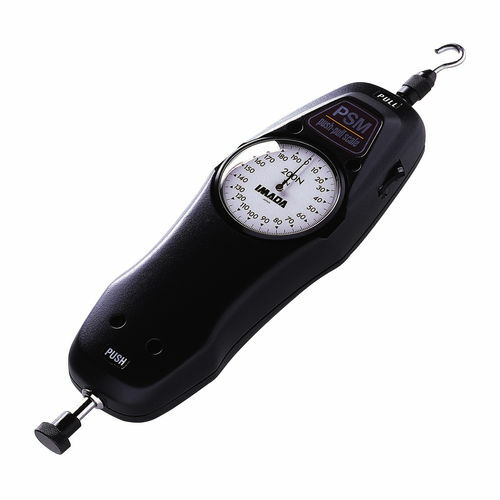 High long lasting accuracy due to special material of spring and an exclusive indicator with clear visibility of maximum force value. 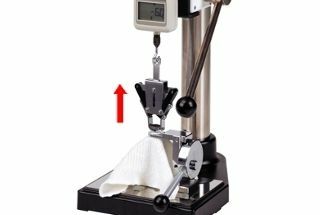 8 jigs are included to perform basic compression/tension testing for accurate measurements with zero adjustment for tare weight making force transition easily readable.